Skip walk in clinics. See the dermatologist online. Do you need to see a dermatologist and can't wait months for an appointment? Get a consultation in 24 hours or less — from your phone, tablet or computer. Available in Ontario, British Columbia, Manitoba, Nova Scotia and Newfoundland and Labrador. Coming soon to other provinces. 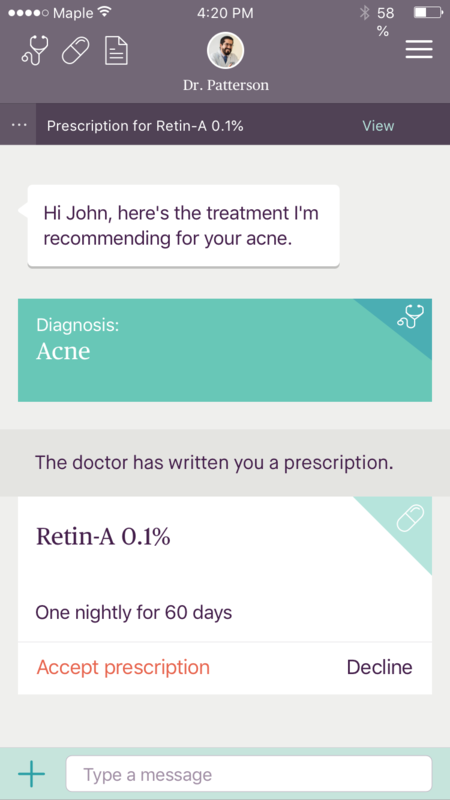 Seeing a dermatologist on Maple is easy. No appointment necessary. 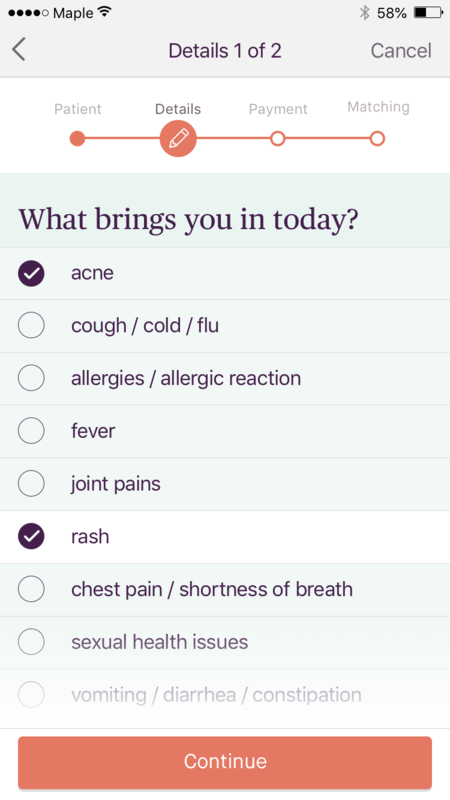 Simply enter your symptoms and attach any relevant files or images. Your request will be securely sent to a Canadian licensed dermatologist. You'll hear from the dermatologist in 24 hours or less. If you’re providing any photos, they’ll need to be high quality — click here for guidelines. Consultations are $180 and include the applicable diagnosis, and any necessary treatment plans or prescriptions. The matching process typically takes several hours — a response is guaranteed in no more than 24 hours. The dermatologist will review your request in detail, and respond with an applicable diagnosis and treatment plan. Our online dermatology service allows for a wide variety of prescriptions at the doctor’s discretion with the exception of controlled medications such as narcotics. Once you accept a prescription, you’ll have the option to pick it up from any pharmacy or we’ll deliver it right to your door at no additional cost. Getting a dermatologist appointment can take months. Skip the wait. Maple revolves around your needs and schedule. 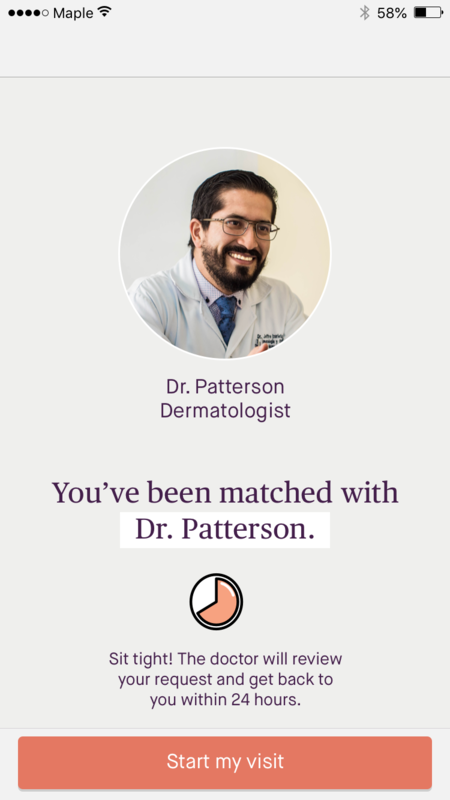 Connect with a dermatologist online in 24 hours or less.